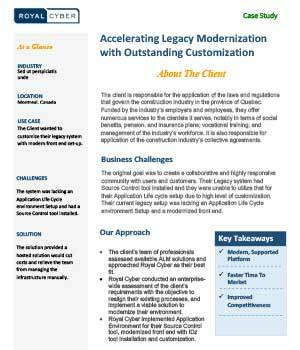 The Client wanted to customize their legacy system with a modern front end set-up. The system was lacking an Application Life Cycle environment Setup and had a Source Control tool installed which was a challenge. The solution provided a hosted solution that would cut costs and relieve the team from managing the infrastructure manually.